In Zombie Apocalypse, Part 1: The Lamentable History of Zombies we examined the backstory of zombies and how Haitian voodoo and African mythology contributed to their embedding in religious and cultural beliefs. Today we are exploring how the zombie became a pop culture phenomenon. Zombies are undead, but not all undead are zombies, and a resurrected corpse does not always a zombie make. For example, Frankensteinian monsters, assembled from various body parts, are not zombies because they are usually intelligent and self-aware. Mummies can bear a striking resemblance to zombies, even down to the guttural speech and shambling walk. Their deliberate physical preservation, however, sets them apart from ordinary zombies. The infected people in “28 Days Later” also are not zombies because they do not die before taking on a zombie-like (though fast-moving) appearance and fixation on killing. So are we clear on that? The vetala is a spirit who haunts cemeteries and takes demonic possession of corpses, which may be used as vehicles for movement (they no longer decay while inhabited). Known as a jiang shi or “stiff corpse” in Mandarin, a goeng si in Cantonese, and a kyonshi in Japanese, these are not zombies because they don’t eat flesh. They are not vampires. They don’t drink blood. Rather, they drink qi, or life energy. A ro-langs is a zombie-like creature from Tibetan folklore. Ro is the word for corpse and langs is the perfect tense of “to rise up,” so ro-langs literally means “a risen corpse.” A ro-langs is usually created by a gdon spirit, or a sorcerer. A ro-langs cannot speak or bend over. It signals its victims by wagging its tongue back and forth. It cannot bend at any joints, which makes it walk with a stiff-armed lurch. In regions of Tibet there are low doorways to keep the ro-langs out. Demonic ro-langs are created by an evil spirit with the goal of contaminating other humans. It’s obvious the reanimated have an ancient and bone-chilling history. These tales are also the inspiration for more modern interpretations. 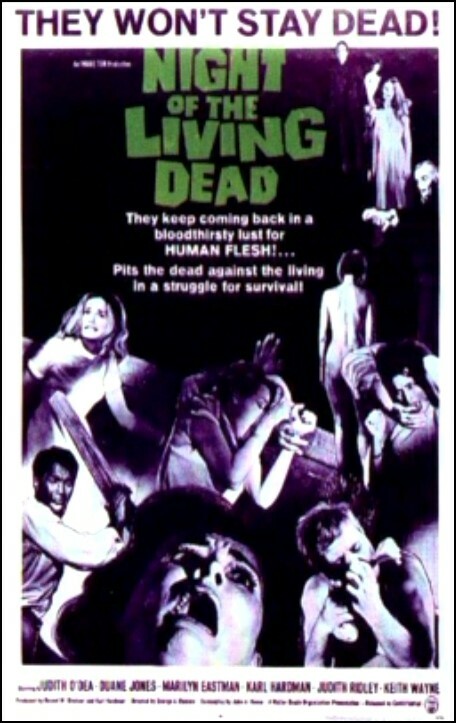 George Romero is credited for launching the current pop culture craze with Night of the Living Dead, a low-budget movie relying on local talent around Pittsburgh, where the film was shot, for the undead. It was a surprising success. Released in 1968, “Night of the Living Dead” starred Duane Jones, Judith O’Dea and Karl Hardman, relatively unknown actors. The film follows seven people trapped in a farmhouse attacked by zombies, the infection later suggested to be the result of radioactive contamination from a NASA spaceship returning from Venus. It was shot in black and white for $114,000 and grossed $30 million worldwide, which was the impetus for the production of five more “Living Dead” films. Indicative of its iconic status, it was selected in 1999 by the Library of Congress for preservation in the National Film Registry. That was at the height of the Vietnam War, of course, when zombies reflected a fear of the military-industrial complex and survivors had as much to be afraid of from the government as from the zombies trying to eat them. The Bay of Pigs and the Cold War’s looming nuclear threat also added to Americans’ fear of annihilation and enhanced the zombie’s metaphorical meaning. The character of Ben was originally written as an angry person. 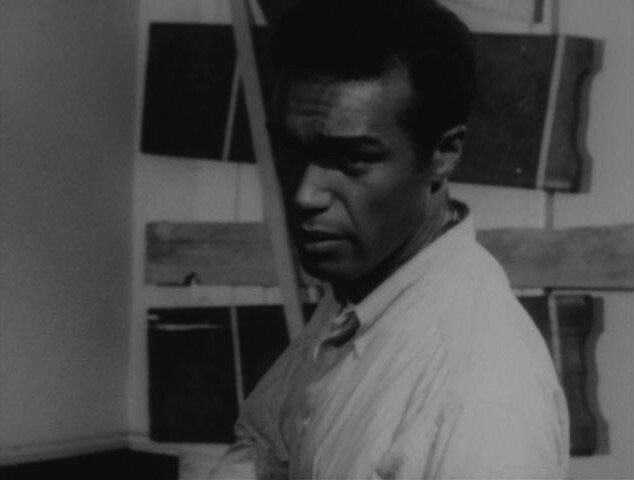 When Duane Jones was given the role, he expressed concern that the character be rewritten to remove some of the anger – such as the scene where Ben hits Barbara – afraid of how it would be widely perceived in the United States at the time to see a black man acting in this way. The nation was still plagued with high racial tensions during the late sixties; the film was released to theaters shortly after the assassination of Martin Luther King. Nonetheless, George A. Romero and most of the rest of the predominantly white crew decided against it, thinking they were being “hip” by not changing it. Years later, Romero lamented that he had not taken Jones’ concerns more into consideration, and thought that he was probably correct. He’s expressed that he wishes he could speak with the late Jones again, asking him how he felt about the film’s legendary status, and believes Jones would just say “Who knew?” and laugh. As we noted in Part 1, there is similar speculation today regarding 21st century angst in those of us who embrace all things zombie. Things today are unsettled. The economy, terrorism, job loss, global warming, Ebola—the assaults to our wellbeing and psyche are legion. As we watch zombies lurch across television and movie screens, we are captivated by the characters’ struggles to survive that drive the storylines. We put ourselves in the shoes of these characters as they battle the walking dead onslaught. We come to recognize the fragility of our civilized selves. In a zombie apocalypse, we know that we could never return to our former selves because our humanity has been irrevocably altered. As in TV’s The Walking Dead, the title captures the reality of the apocalypse—the hordes of zombies—but it also may be insinuating what happens to people when they are so transformed by the unthinkable that the essence of their being is lost. Are we so far removed, metaphorically at least, from this dystopic world? Probably not as far removed as we would like to think. Because certain universal behaviors have and will always exist that make us vulnerable as a species. Zombies are merely empty shells, doomed to wander aimlessly, unconscious victims of fate. Humans have an enormous capacity for evil, not borne of a cognitive vacuum, but derived from basic instincts of self-preservation and fear. We as a species can wreak destruction and vie with any monstrous aberration in destroying life. That’s the real story of horror. Read more behind-the-scenes facts about Night of the Living Dead. This entry was posted in Anatomy and Physiology, Biology, Blog, Celebrities, Culture, Literature, Public Life, Science and Technology, Science Fiction and tagged ancient history, ancient zombies, AntiquityNOW, George A. Romero, jiang shi, kyonshi, Martin Luther King, Night of the Living Dead, ro-langs, The Walking Dead, vetala, zombie, zombie apocalypse. Bookmark the permalink.